I love foxes, they are sooo cute! 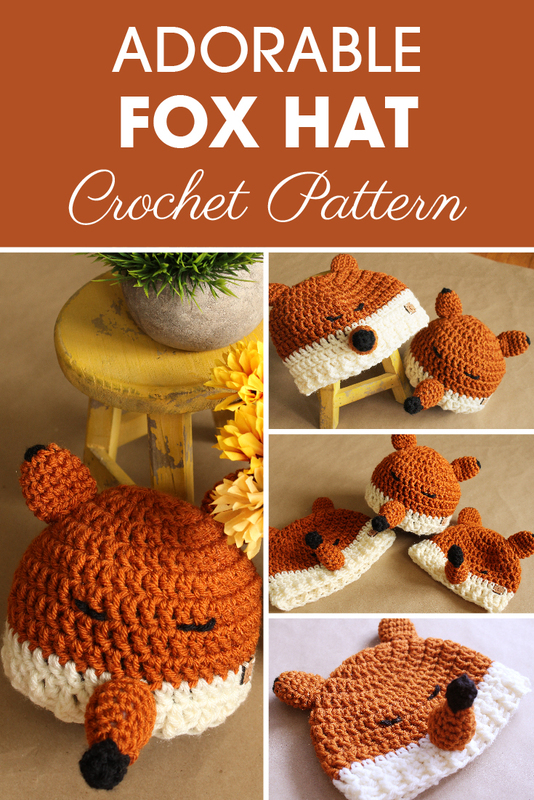 That’s why I had to make Felicity the Fox Hat Crochet Pattern of course. Y’all can also add their own personality to the hat with my add-ons! 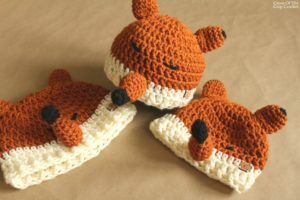 When I design animal hat patterns, I usually look at animal pictures. 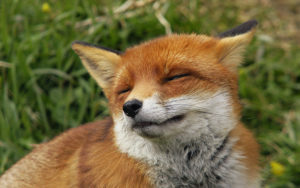 So I searched “Foxes”, and found this little cutie. *These are our finished measurements. If yours don’t fit within these measurements, please check your gauge. Cut yarn and change to CB yarn. I made 2 ears and used CB yarn and a yarn needle to attach the ears to the hat. I attach them to rounds 3 & 4 on top of the hat. Once finished, weave in your ends. Before attaching the nose, I stuffed the nose with stuffing. Then I used CB yarn and a yarn needle and attached the nose right below the color change on the hat, aligning it between the ears. Once finished, weave in your ends. I made 2 eyes and used CC yarn and a yarn needle to hand stitch the eyes. The placement of the eyes is on either side of the nose (above the nose). I also made sure it was stitched on CA yarn. To stitch it, I made a small horizontal line then another line slanted up a bit. After all that I tied both ends together and cut yarn.